I am a huge day-dreamer. I lay in bed at night and imagine how I want things to be; business / blog opportunities, home environment, health, you name it; I think it's human nature that we allow ourselves to get swept up in a dream about how we want our lives to look isn't it? That is certainly how my brain works 99% of the time (definitely a piscean trait too!). As I have got older, my day-dreams are no longer about flashy cars I want to own and more about how I want to feel inside my skin, inside my life. Do I picture possessions? Yes, I do, but they are about feelings, not about status; you will find me dreaming about a new mug I saw in some random shop or some super cosy socks more than a designer handbag; in all honesty, I have never wanted one! 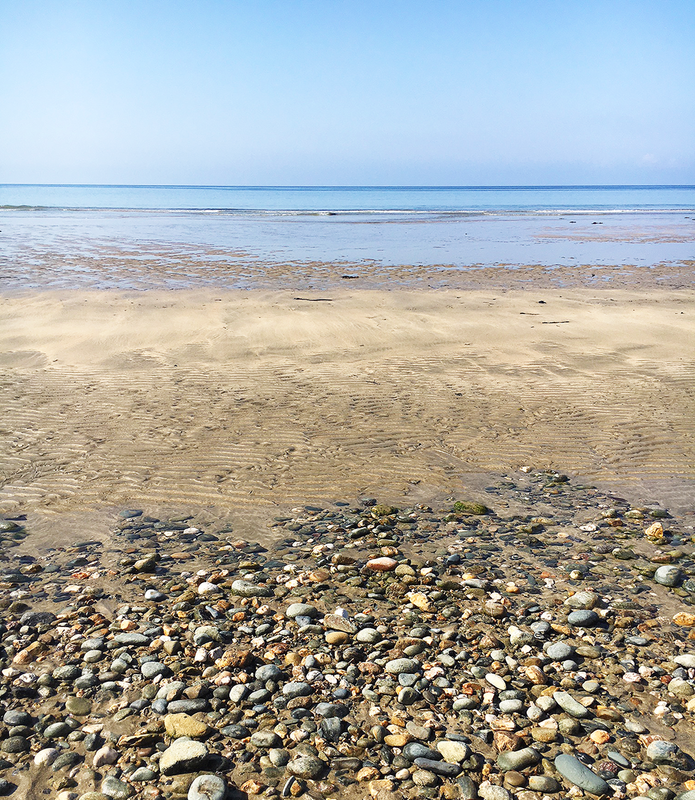 Before we moved to Cornwall in February 2017, I had spent years building up the life I dreamed of in my head; the house by the sea, how I would spend my mornings working out, then mindfully getting ready for the day ahead. I hoped (and hoped) to be in a position where I was the boss, that I could be the one calling the shots and I imagined how that would look and feel for me in so many different ways. 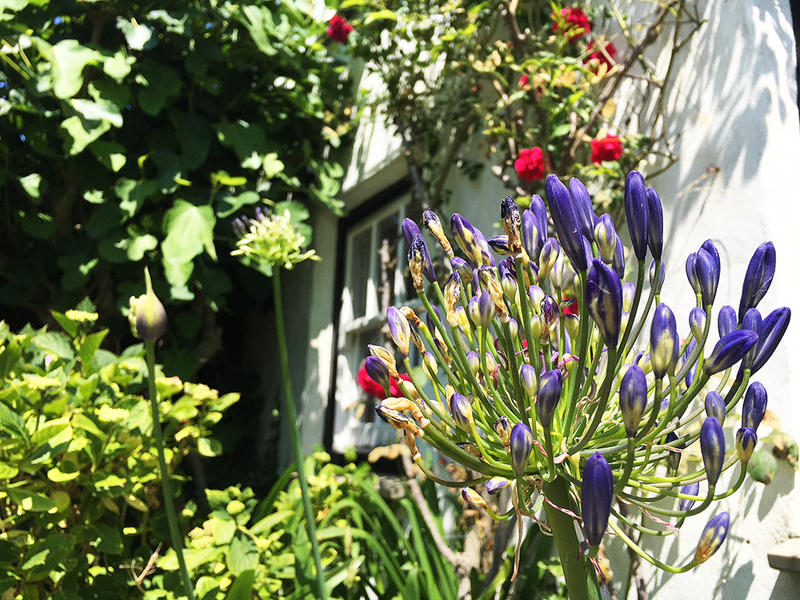 I imagined being surrounded by space, a pretty cottage garden, maybe even a view to die for. I thought about Joe, Gizmo and I enjoying summer mornings outside, reading, sipping tea (not Gizmo obviously!) and peacefully spending time together. I wished for big, open skies that would show me all the stars on a clear night and maybe even a glimpse of the milky-way too. 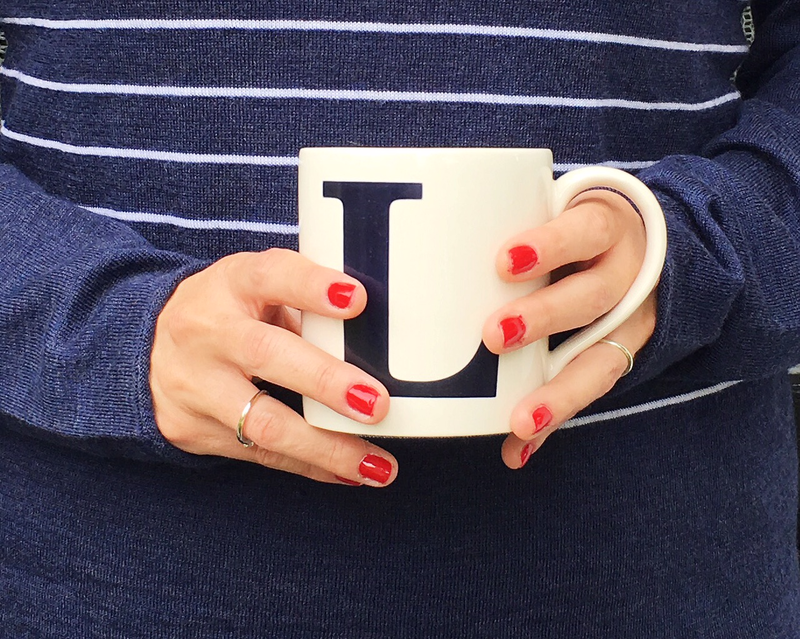 It really was all about the cosy, slower-paced life; I wanted a life that I was fully in control of, rather than one I felt was controlled purely by other people or how I thought I was 'meant' to be living my life. 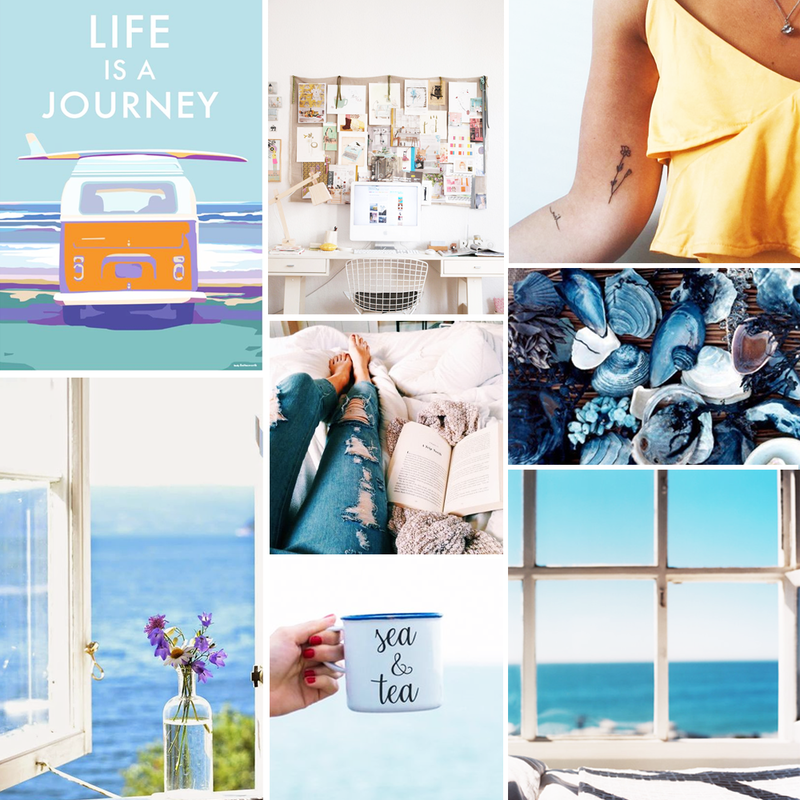 That little mood board of mine was a glimpse into my future, a look into the woman I wanted to be, tattoos included (sorry mum!). Little did I know that by dreaming, saving the images and journaling about it (constantly) that I would actually manifest the majority of what I had longed for. Clearly it wasn't that simple, it is a work in progress, but you have to believe you can do it or you will never take the chances when they arise. Once the process of our move started I set myself some intentions and stuck to them as best I could: I made time in the mornings to practice self care, which for me looks like a training session or a walk, a nice shower and maybe some oracle cards and/or journaling. I set myself my business launch goal and worked towards that date with all my might. Joe and I made sure that we were stepping outside every single lunch time (we still do) to get some fresh air and drink a cup of tea. There are so many others but I won't bore you with them all. Crafting the life you want to live really is about listening to who you really are, hearing your souls call in the midst of the craziness of the world we live in. It isn't easy, but when you start to tune it to you then the path becomes lit and intuition allows you to follow it. We are told that good things come to those who wait but I believe that there is no need to wait at all, we should replace the word 'wait' with the words 'get intentional'! What can you do to set some intentions then? Start by writing. 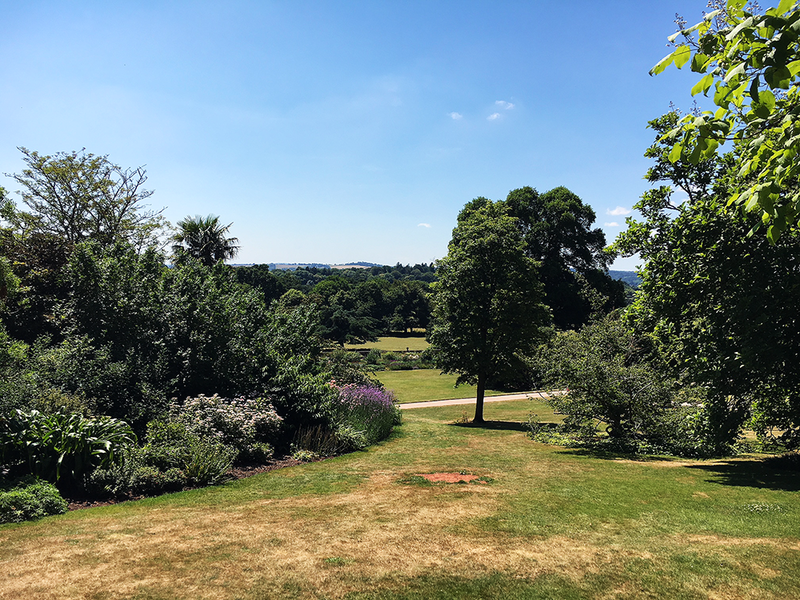 I swear by the 'perfect day' exercise that Gemma got me to do; sit and journal your perfect day, no matter what it is or how far fetched it seems and then see if you can break it down into some achievable goals. If the big picture of life is 'all good' for you then maybe just vow to set some intentions around your every day routine. :: My biggest thing right now is eating with intention. I will write more detail on that soon because it is quite entwined into my mental health, but this is quite a major step for me. I have vowed to step back from weighing myself and have decided that, for my own sanity, I need to re-think how I go about the food side of things. :: Collaboration is a huge one for me, both with this space and Leaf Lane Studio too. When we moved here I wanted to work with local businesses and share them with my readers; this has become even more of a priority since I now run a small business and know how important it is to spread the word! 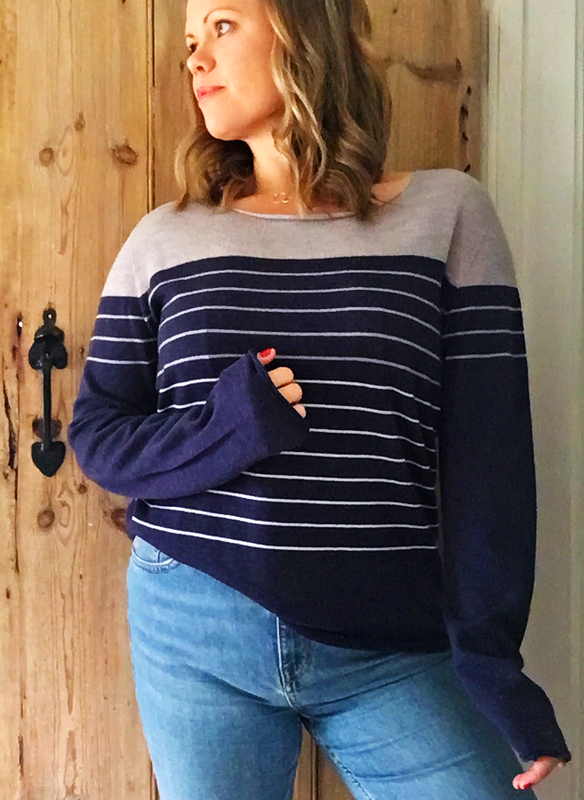 It was actually a beautiful company, Celtic & Co, based in Cornwall, who kindly gifted me the gorgeous jumper I am wearing in my photos (I swear I will never take it off, it is the most luxurious piece of clothing I have ever owned!). You guys should check out their website because their pieces are truly wonderful and very (very) high quality. :: Self-care is another huge thing for me at the moment; I guess this and the eating mindfully thing go hand in hand but for me, self-care looks like this: taking more naps when I need them (especially when my mental health is faltering), having a warm bath and listening to a podcast that lifts my soul, reading a book and turning off all distractions whilst I do or using a guided meditation to relax (I often fall asleep during them but I figure that is okay too!). What is self-care for you? :: My last 'big thing' for the list is that I am setting intentions around organisation. I am most certainly not unorganised, but now that I work for myself and everything is 'on me', I am trying to ensure that I don't leave myself open to overwhelm, which can be easily done, particularly when you are working on many things at once (building a business, trying to reach out to collaborate with others on the blog and side projects, like my Body Stories e-book). I am trying to set specific days to work on certain things so that nothing gets left behind, but that is still a work in progress! The big point I am making here is really that life can be so much more if you set your intentions for the day/week/month/year ahead; you become a lot more aware of what you are achieving and how you work as an individual too. It may take some time to get to know what process works best for you, but believe me, even starting with a little private Pinterest board of things you would like to manifest into your life can start to move you into a more positive mindset. Most of all it has to come from your soul, you have to come at your intentions with passion and enthusiasm to see some real steps forward. Let me know what you think and what intentions you are going to set! Thank you so much to Celtic & Co, who reached out to me to collaborate, I absolutely love working with local brands and/or small businesses so a huge thank you to them for gifting me the most amazing jumper ever! 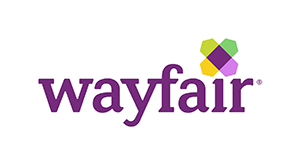 Please do check them out if you are looking to treat yourself or someone special, they do so many wonderful pieces. Some of my favourites are their: fine knit merino crew-neck (the one I'm wearing is 'navy gradient) / slouchy roll-neck / cosy slippers and this adorable little boot key-ring! Wow, what a week! It's been a busy old seven days since I last did a gratitude list and I am happy to say that, mostly, it has been a truly wonderful week. 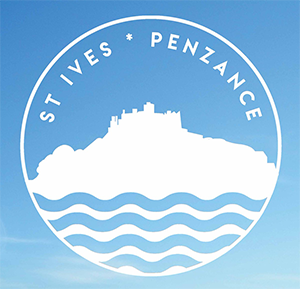 I did some more work in Penzance this week for the printers, and really enjoyed parking up in the sunshine and walking along the narrow streets into town; well, I didn't enjoy being stared at by a random elderly man whilst I parked the car along his road on Friday, but other than that it was okay! I don't think he trusted that I wouldn't just drive into his car or something, but hey, a girl has to park and this girl can park without crashing! 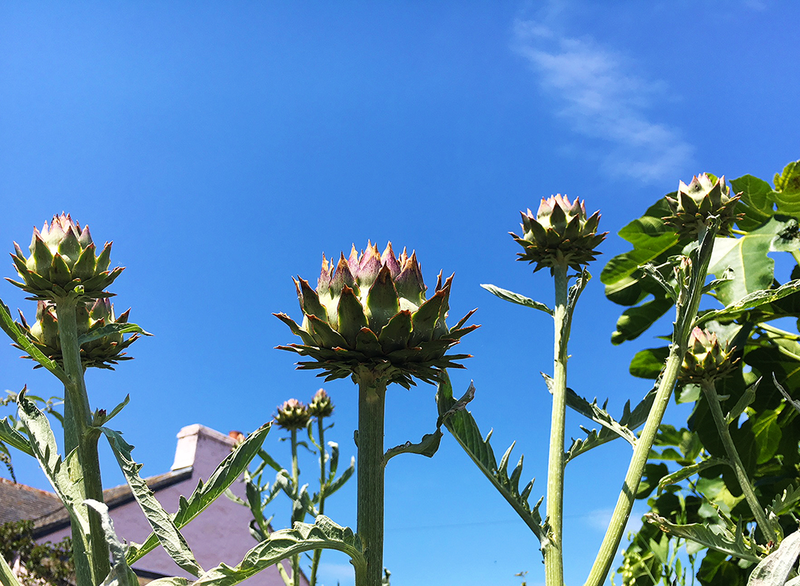 :: We definitely haven't had the hottest weather in the U.K this week, I think we have been about ten degrees lower in Cornwall than you poor melting lot a little further 'oop country, but that doesn't mean I wasn't grateful when the rain appeared on Friday night. I like a little rain for a few reasons a) it clears up the humidity b) it smells amazing c) it sounds wonderful when you are all wrapped up in bed, and d) (probably the most 'old lady' reason) it's good for the garden isn't it! That said though, I am not ready for the sun to go at all, so a little rain only here and there please! 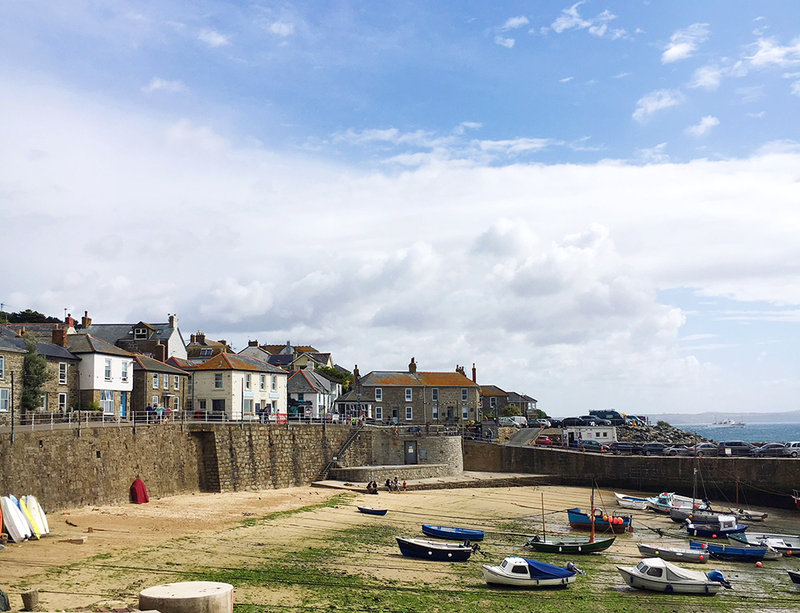 :: Yesterday we popped into Mousehole for a wander; we had been in Penzance very early in the morning to run a few errands, so it seemed to make perfect sense to nip around the coast a little further to this pretty place. It is so busy everywhere right now, as you can imagine, but it was lovely to have a walk about. We stopped at the cafe right on the harbour side, '2 Fore Street', which we had always thought looked nice but never been in to. We had tea and shared a slice of their freshly made chocolate cake which was, hands down, the best chocolate cake I have ever had (sorry mum!). It had melted milk chocolate on the top and a white chocolate/vanilla buttercream icing on the inside and was delicious! I don't think I said one word the whole time we ate... other than 'why are we sharing this' - i.e. why can't I have my own massive slice! 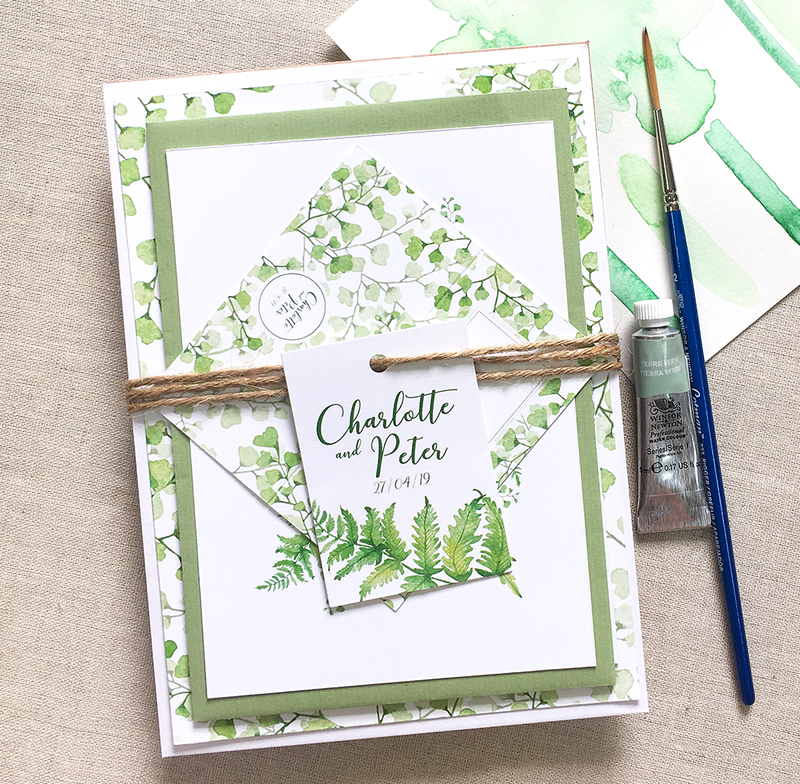 :: I spent some time sat up in the spare bedroom, otherwise known as 'my art room' this week, slowly wrapping up samples of my new Fern wedding stationery collection, ready to go off to the magazines who I usually send to. 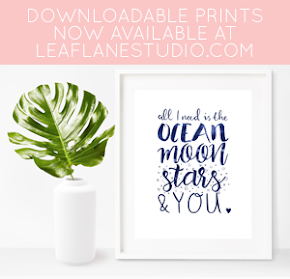 It officially launches tomorrow, and there will be some really fab offers to go with it, so make sure you are following my Leaf Lane Studio Instagram account for all the juicy details! :: These days I rarely treat myself to anything new, but I was in desperate need of another short sleeved top for the heat (!) and I have really wanted to get myself a little rucksack too; I have one I take to the gym, but wanted something less sporty and more... sleek and pretty for when I am working in town and need to carry a few bits. My bad back/shoulders/collar bone issues (shoot me now!) mean that I struggle carrying something on one shoulder, so a backpack is more comfortable and generally practical! I had a 20% Newlook voucher so decided to treat myself! I ended up getting this top, which looks sweet with my high-waisted shorts and jeans, and a bag similar to this one (mine isn't on the website for some reason!) and I am so pleased with them (yep, nice and summery black!). :: This week I have been listening to Mel Wells 'Goddess Vibes' playlist on Spotify and finding it really uplifting! Peta mentioned it to me, so of course I was straight over there to listen as Mel Wells is one of my all time favourite humans right now! 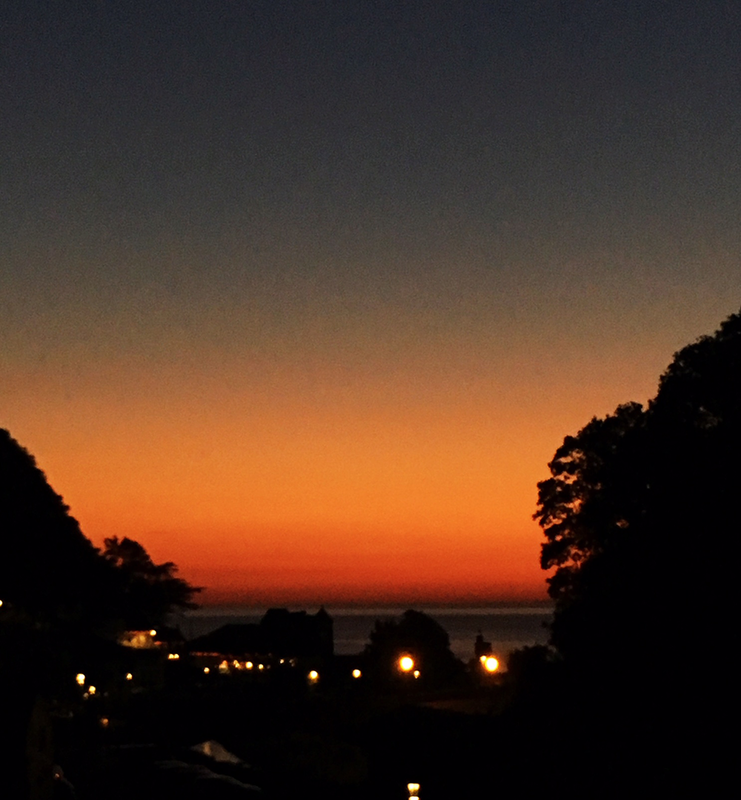 :: Going outside to drink tea at any time of the day is always a great thing but this week, the smell of the sea has been really making its way over to our garden and, as soon as I get a little whiff of it I get filled with nostalgia; it's just 'one of those' smells isn't it! It seems to lift my spirit every single time. :: We've been living in the cottage for about a year and a half now and, whilst we have most of the place as we want it (as far as we can considering we rent it anyway), there are still a few odds and ends I would like to sort out. We are making it our mission to tie up a few loose ends and this week we finally sorted out something that has been bugging me for a while! It isn't a big deal at all, but I had absolutely no where to store my make up and brushes, so they were kind of all over the bedroom which really annoys me because they gather dust, get in the way and generally look pretty messy. So, last night, poor old Joe was dragged off to the shop down the road whilst I tried to find something to sort out the mess! We left with a set of two cute wooden boxes and a little mason jar for my brushes to live in and now, with everything washed and tidied away, our room looks a little better and I am a happy bunny! It's the small things that make a difference sometimes isn't it! Mission two: more plants! :: I sent out my second letter to my subscribers this week; this week it was all about what I am trying to accept in my life. I want to make the content of these emails about things I am currently dealing with or thinking about and really start a conversation between me and you guys that is more in-depth and meaningful, so please make sure you click here and subscribe to the letters if you haven't already (check your junk box if you think you haven't heard from me as some providers file it there right away!). 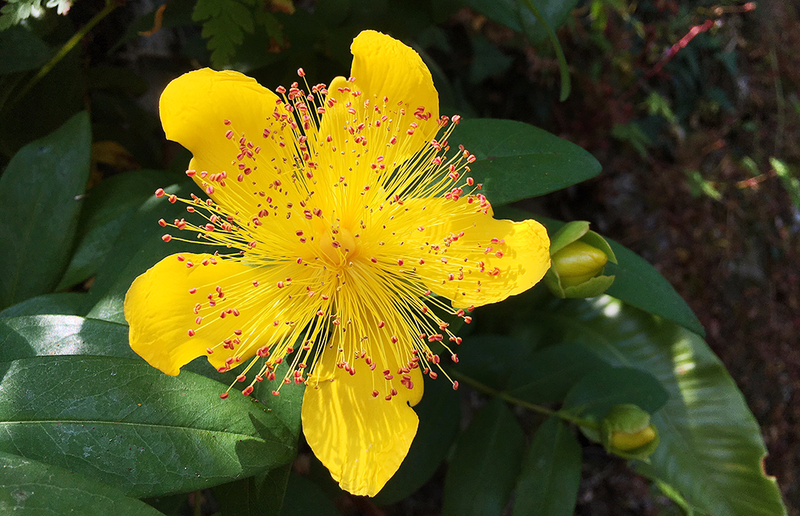 Thank you for stopping by this week, I hope you are having a wonderful day... leave me a comment below and tell me what the best part of the past week has been for you. See you next week! That's it, it's officially summer time now that the schools have broken up (er, anyone care to mention where 2018 is disappearing too?!). 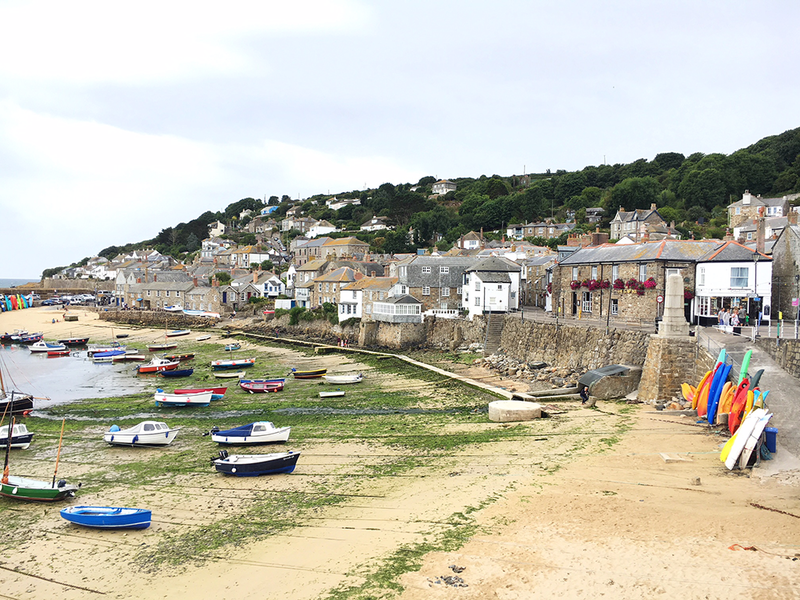 Cornwall has suddenly got a whole lot busier and I will return to the routine of only going out early in the morning or late at night until September, unless I have to of course! 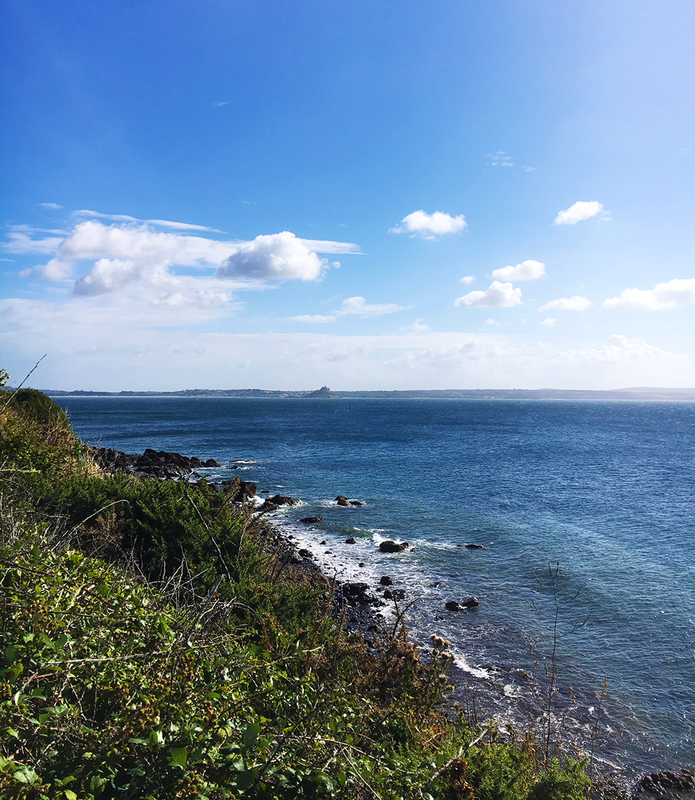 I did venture out this week as I worked for a few hours in Penzance and, as I drove the ten minute drive home (in 25 minutes!) I realised that I need to learn to fly a helicopter or something (me, a drama queen? Shh!). It's honestly not that I am totally antisocial, but I struggle with severe anxiety in crowds and just find myself getting wound up inside, that is why I become a hermit for eight weeks in the summer! Enough about my strangeness, let's get into the weekly gratitude/general life happenings shall we? :: On Thursday I had been working in the printers for a few hours and, as I was walking back to my car I got some slightly blurry pictures from Joe of a visitor in our garden. As I looked through them, trying to work out what it was whilst I walked up a huge hill, juggling phone/water/keys etc, I came to the conclusion that our visitor was a ferret. On the way home from Penzance, I had mentally moved the poor, homeless ferret into the house, introduced it to Gizmo and bought it one of those harness leads you can get. I had thought of a few names too and made a mental note to Google 'what ferrets eat / where ferrets sleep' when I got home. 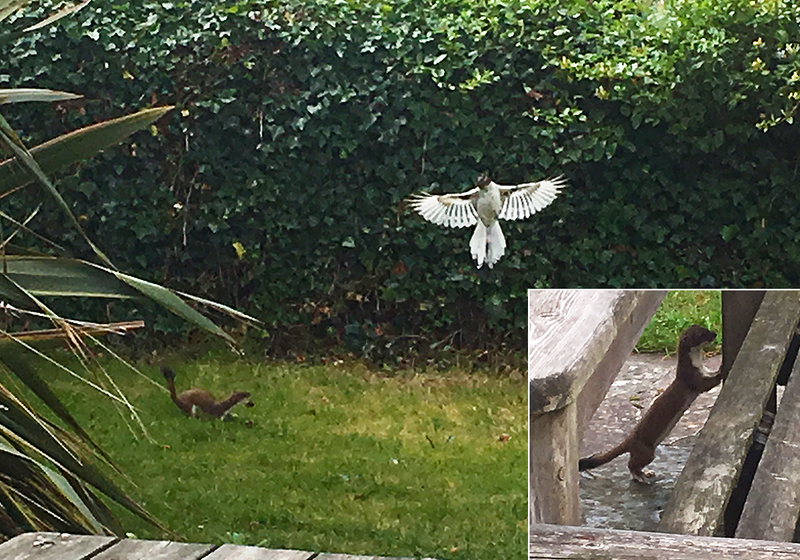 My dreams were smashed to pieces upon arriving home and being informed it was a stoat. Apparently they are little sods too (as are ferrets according to the Jedi master that is my mother), so that was that, no brother or sister for Gizmo! As you will see from the slightly dodgy photos, the magpies were not impressed, although I thought the pose it was performing to assert its authority was mighty impressive! :: After weeks of looking like a disheveled mess I managed to gather up enough funds to book a hair cut (#newbusinesslife!) and as I sat in the chair, having my scalp massaged and smelling all the gorgeous smells that come from a hairdressers visit, I imagined being able to have my hair cut regularly and maybe even a massage too; I'm adding that in to my manifestation routine! It is so nice to just sit and have a treat though, it felt very luxurious! :: Yesterday I felt a bit... 'meh' about the day after plans to walk in the sunshine got ruined by the mother of all downpours, so I set to work doing the thing I do best, cleaning in the style of Monica from Friends. Sometimes I feel a little lost creatively and need to cleanse my environment! I had a move about in my art space upstairs and felt a little spark of new inspiration ignite as I dusted, tidied and hoovered. Cleaning is like therapy! :: I finally managed to get myself enough time (and the right light) to take all the product photos for my Leaf Lane Studio wedding stationery collection, 'Fern'. I am so happy with how the pictures turned out and am excited to get it launched next week, so make sure you stay tuned to the website for that! :: This week I experimented with a recipe (unheard of for me!) and created a version of shepherds pie that was surely the ultimate definition of health (!). I swapped the mince beef for turkey mince, chucked in a hell of a lot of veg (onions, carrots, tomatoes, courgette, broccoli) and popped a little sweet potato and swede mash on top with cauliflower. I felt all kinds of Jamie Oliver! I really love cooking but I am not one for going too off-piste, usually due to lack of brain cell function by dinner time! It was rather yummy though, which is just as well because I made enough to last about three days! 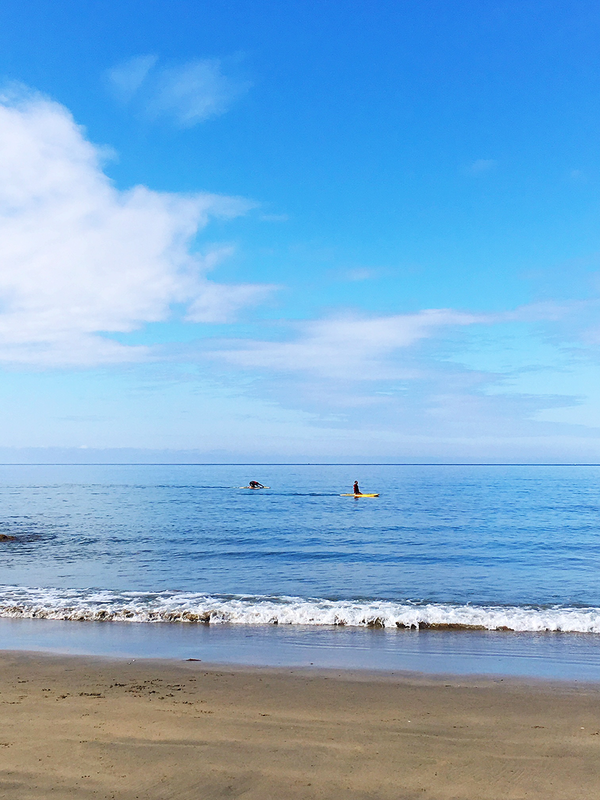 :: Sunday's just wouldn't be complete without a morning stroll on the beach before the herds of holiday makers appear. I really enjoy the peace and quiet of an early walk, it is wonderful and this morning was so still and calm, just silent little waves lapping in, perfect. 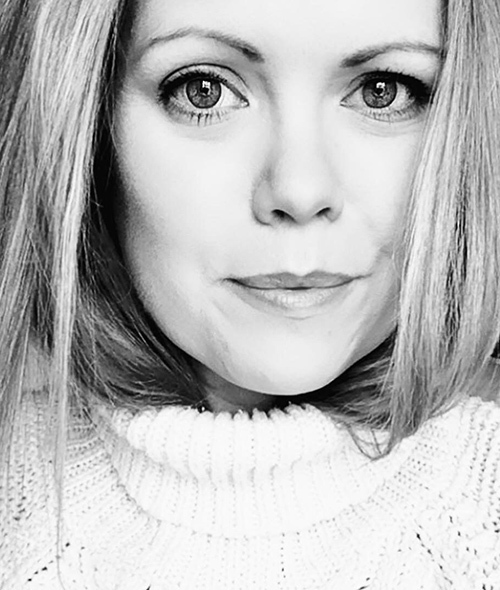 That is it for this week; please please please get in touch with me about a body story if you would like to share one, I have popped a little box on the right hand side of the blog (underneath my mailing list icon) so that people can read through the previous posts. I really need your help with this project and, whilst I am trying to get it advertised in much bigger places, it relies on you lovelies to help share your story. Please don't forget that I am not doing this for any financial gain; once complete the stories will be available for free, that is the whole point for me. It is important that people can access these beautiful tales and draw strength and inspiration from them, completely free. Please share as much about this as you can, I need your help to make this happen. If you want to be anonymous that is fine, if you don't I am happy to share websites/social handles so people can find you on-line too. 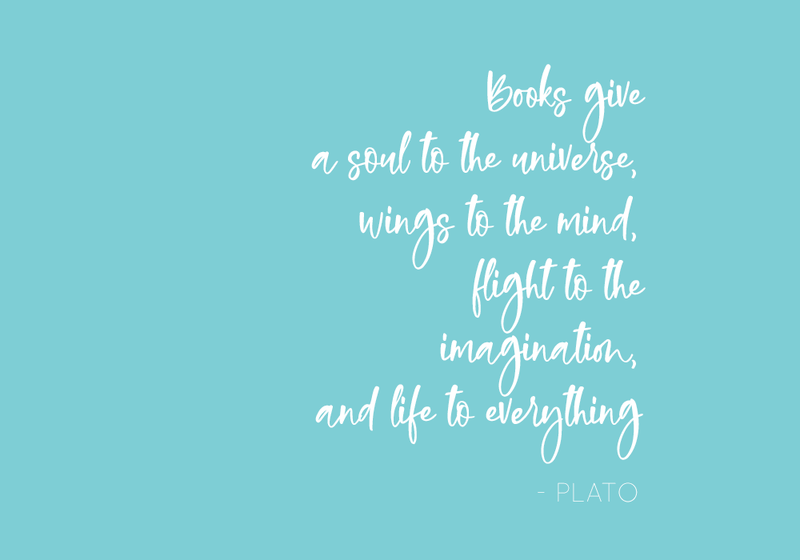 I have really got back into reading again; I used to be such a bookworm and I have missed losing myself in something that acts as food for the soul or escapism into another world altogether (*Harry Potter, I'm looking at you kid!). I found that I just couldn't find time for reading and, when I finally did find the time, I couldn't let my mind relax into the book as it was always racing 100 miles and hour and I would get through a chapter and not recall a thing I had read. As soon as I realised that fact I knew I had to re-train my rushing brain into slowing down enough to actually absorb some information again. The book that I started reading at first was 'We: The Uplifting Manual for Women Seeking Happiness' (although that isn't the book I want to talk about the most here today). 'We' was a really good read, despite it sounding like something you might of seen on Bridget Jones' coffee table; I would really recommend it to anyone who feels like they need to reconnect with themselves on a deeper, spiritual level and learn how to cope with situations they struggle with. The book has journaling exercises within it and, I must admit I initially thought 'nah, I don't need to do them' but doing them actually really helped me. Whilst I was reading that book I realised where my biggest weaknesses are within my mind and my mental health, I already knew it was a huge issue actually, but during the time of reading 'We' I was also doing a really full on eating and exercise programme and I felt my mental health rapidly deteriorating. I felt like, mentally speaking, I had totally lost the plot with how I saw my body and food too; after years and years of dieting, weighing food at every meal, binge eating, restricting again, and repeating that cycle in a variety of ways I felt exhausted and utterly lost. Feeling it spiraling out of control (fast) felt scary and I soon realised that something had to change. Enter the game-changing book, 'The Goddess Revolution' by Mel Wells. I have had this book on my wish-list for a long time but I guess I just wasn't in the 'right place' (mentally) to read it, and then one of the girls I chat to on Instagram said she had read it and would send me her copy (thank you Lucy, you are an angel, you have no idea what a difference it has made), and here I am now, starting to make the positive changes I need and already starting (albeit slowly) to feel a bit brighter and less down about food and my body (let's face it, years and years of conditioning doesn't just turn off, but it is nice to feel something flickering!). I am rubbish at book reviews, but I will try and list a few key points that I took from the book. :: Mels big message in the book is how we have to reprogramme our minds around food. All the years of dieting and restricting has caused such a disconnect that we no longer know what it is our body wants. We don't know when we are really hungry (rather than bored, happy, sad etc) and we don't know what our body actually wants to eat, we are not listening to it anymore. :: One of the things that hit home for me was that life would be so much easier if we didn't see certain foods as 'bad' foods which, if you're anything like me, means you tend to want them more. Instead Mel talks about just tuning in to your body and allowing it to direct you. By seeing nothing as off-limits we have less tendency to crave it and binge on it as soon as we 'allow' ourselves to have it again. :: Mel offers zero diet advice in the book, which is so refreshing, just encouragement for your own body and its journey. She really makes you think about what your body does each day, the things it goes through and how we mistreat it. One of the biggest things that really struck a chord for me was Mel making you compare your relationship with your body to that of an actual intimate relationship with another person. How would that relationship look? Controlling? Obsessive? Abusive? Emotionally out of control? That was a big eye-opener for me... what would you say your relationship with your body is like? (be honest here). I really cannot do the book justice, because it is so damn good; get yourself a copy and pass it on to a friend who you think would like it. It is written as if you are having a conversation with Mel over a cuppa, and I devoured mine in just a few days, so I promise it won't take too long but it is so worth it. I plan to re-read it but I have Mels second book, 'Hungry for More' lined up and ready to go! If you do read it please let me know what you thought of it; I swear that I have never felt so positive on the back of reading any other book aimed to help women feel better about themselves, for me, this is the one! PS: Please, please consider my project on Body Stories too, I really need your help and want to take this further and try to help young people and other adults too, just read this post and contact me to get involved! Welcome to another weekly gratitude post! I confess that this week I have been super busy and not really had time for a lot of other things aside from Leaf Lane Studio work and getting the house sorted for a visit from mum and dad, so I may have to cut this one a little shorter than normal! Lets get stuck in shall we? :: After reading Mel Wells' 'The Goddess Revolution' I have started to think more about the type of food my body is actually craving, rather than just eating for the sake of eating and, with it being summer, I have been trying to think about things that are light to eat but also tasty and interesting and, although I love salads, I am a bit rubbish at putting them together and really lack creativity in that department too. 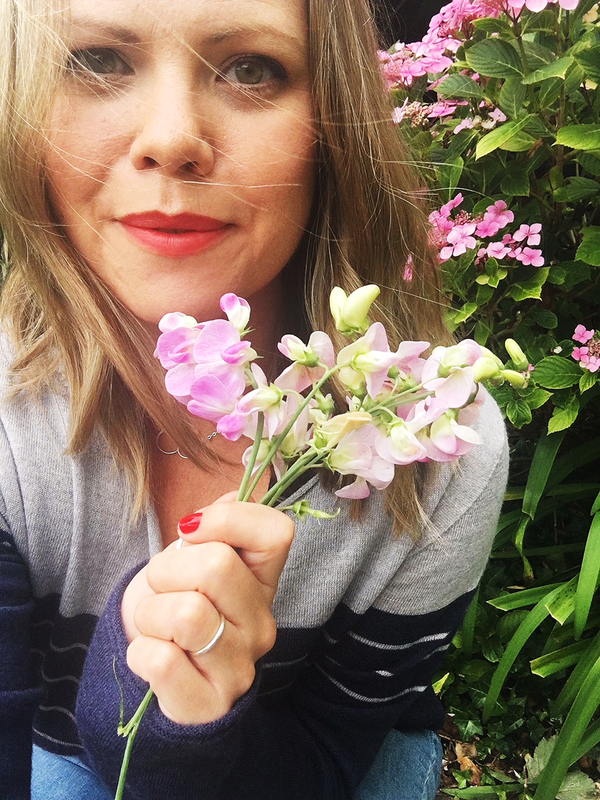 Enter Peta and her latest free resource, The Un-boring Salad Guide (click through to get yours); this lovely human is such an inspiration to me and this lovely little guide really resonated with me. 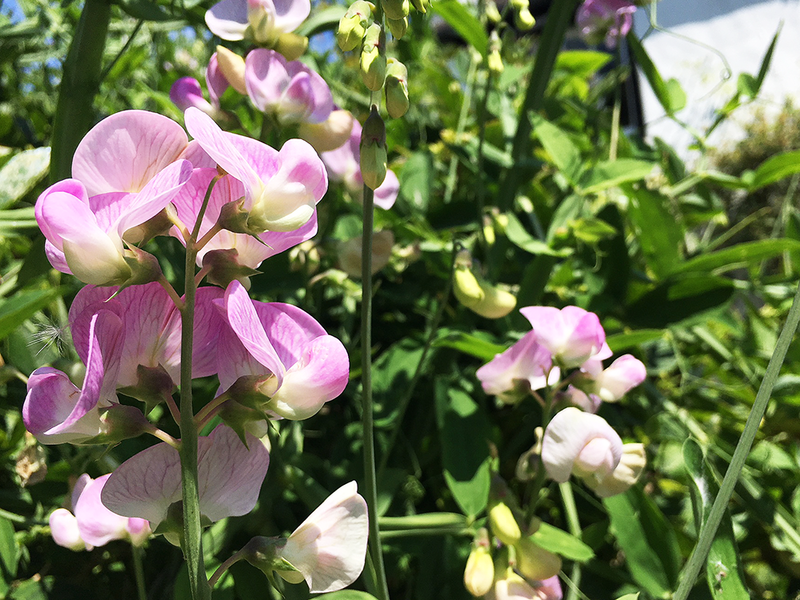 Aside from the traditional green leaves we throw in a salad Peta includes a couple of handy lists of things you can batch prepare and keep in your fridge to add into your salad bowl (along with the leaves!). Please do check it out and follow her on Insta too, as she shares so much goodness on her stories as well. There are good things in the future for our Peta let me tell you! :: Speaking of Mel Wells, I caved and ordered her second book, which got released on 10th July, 'Hungry for More', and I really cannot wait to get started on it. I have two more books to read first though and then I am diving right on in. If you are thinking about reading something to help you with self-love/image, please read The Goddess Revolution, it is something that is so easy to read and will help you, I promise. (Also, please read my blog post and consider sharing your body story with me for a huge project I am doing... I will love you forever and ever!). :: I have been working on a simple, yet very colourful, August spread in my Bullet Journal. I haven't had the time to create the more detailed spread I did in April but I will try and do something a bit more interesting as Autumn approaches. 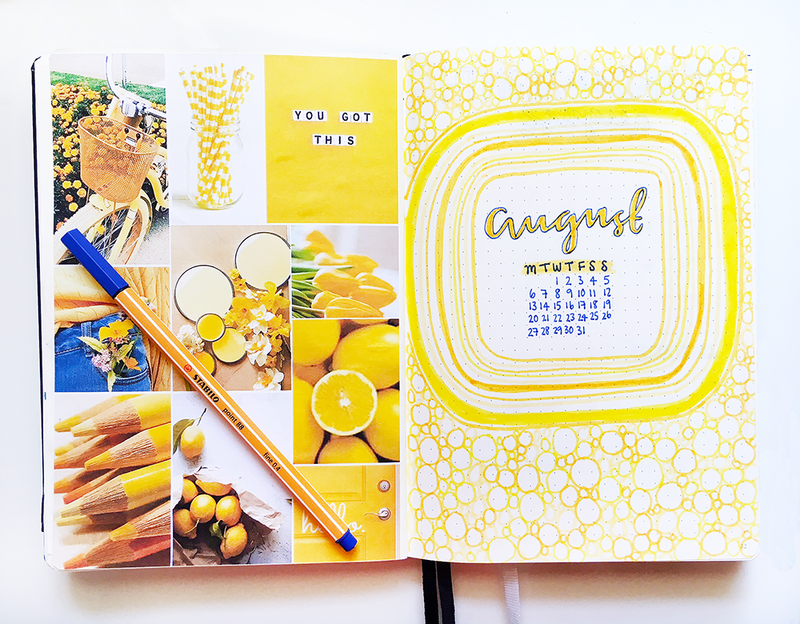 I went for a bright yellow theme and the colour therapy associated with yellow seems to be doing the trick on my brain as whenever I open my journal and see a flash of yellow I feel happy immediately! :: In a desperate attempt to brighten up my slightly dulling highlights I treated myself to a little tube of the John Frieda Sheer Blonde, Brilliantly Brighter shampoo, and it seems to be doing the trick! It really moisturises too, which feels lovely, and I really notice a difference, albeit subtle, after I use it. Just thought I would mention it! 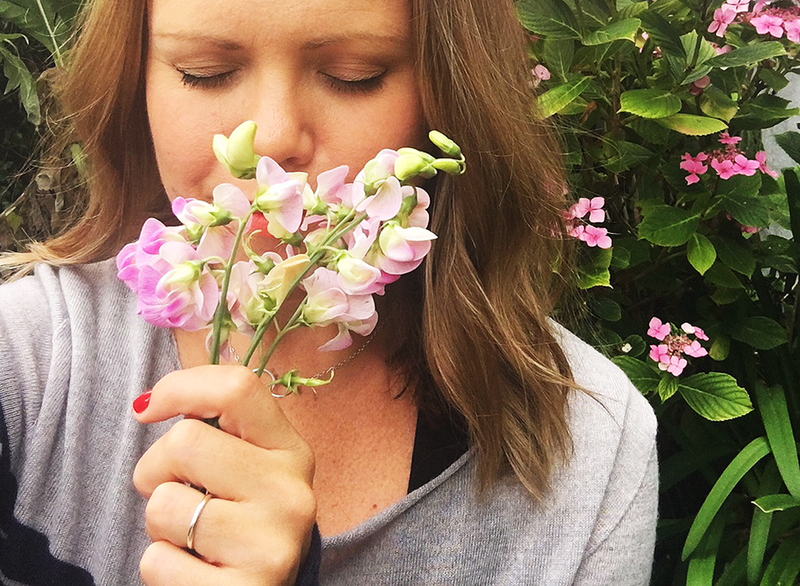 :: You may remember reading Tabitha's body story here a couple of weeks back; she has a lovely blog called The North Left and invited me to write a post for her too, so I decided to write about managing mental health whilst running a business. As usual I picked a subject that allows me to be totally open and honest with you guys and with her readers too; if it resonates then please do leave a comment or send me a message on Instagram. I would love you to read it (just click right here!). Thank you Tabitha, for allowing me to write for you too! :: This week I happened to try a salted caramel Magnum and it was scrumptious. That's all I have to say about that! 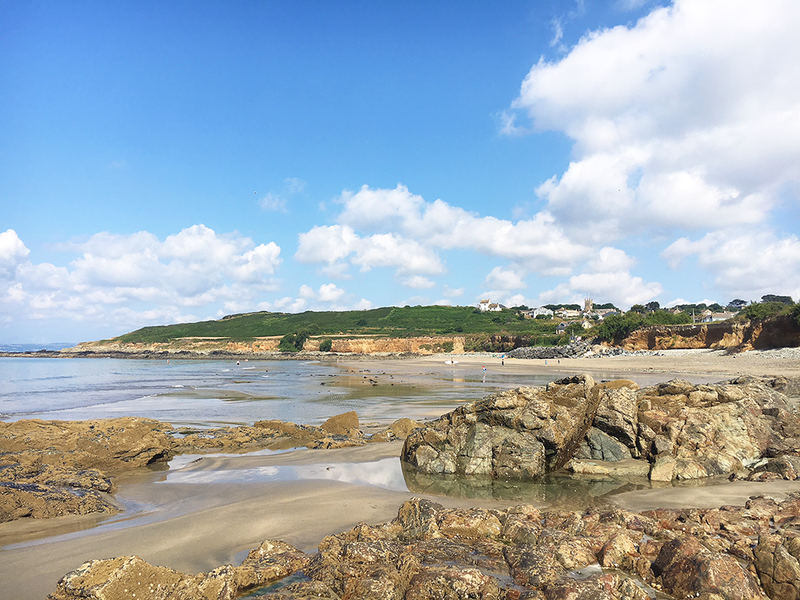 :: Yesterday morning, before the beach hit full sun-bather capacity, we strolled on down for an early walk, to get some fresh, salty air and feel the breeze against our skin. It was already beginning to get busy, but we walked to the very end, where the rock-pools are and hunted for some sea-life! I managed to spot a crab and a star fish, so I came away a happy camper! Isn't nature wonderful? :: Have any of you guys seen the film 'Annihilation' on Netflix? We watched it this morning and it was pretty insane. I am not a film person as such but I like anything slightly strange and out there, this was definitely that! It had one of those endings where you thought...'WHAT?!!! ', go check it out! This post is a call for your help my love. A call for your help to help others; women, men and young people (anyone and everyone). You see, I have a bit of a plan and I can't do it on my own, so I really need you. When I was at school I was bullied constantly for being fat, ugly, spotty, wearing glasses... you name it! I am not the first to have been through the mill with all this but it is something that still affects me today, even at 37 years old. I still think about the day that a particular girl walked past me in the corridor and put her hand on my head, slamming it against the wall and saying 'you are so fat and ugly' and continued walking on with her friends laughing at me. I still remember someone jabbing their finger in my stomach and saying 'wow, handfuls of fat there' and walking off laughing. I still remember being told I shouldn't 'be out the house' because I'm too ugly and so, here I am now, with an idea to try and help people figure out that the way they are is okay actually. That we are who we are at each and every stage of our lives and it is okay. That we are all beautiful, unique human beings, capable of anything we set our minds to and we are all connected within our universe, connected to nature and 'all that is' and we need to be kinder to one another and ourselves. 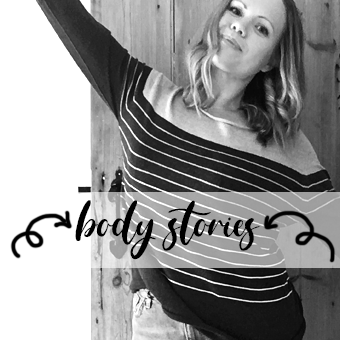 So, as you know, I have been working with other amazing bloggers to put up some stories about our bodies and how we have felt about them in our lives and how we feel now. I kicked off the series with my story (or one part of it because I could write a book quite honestly! 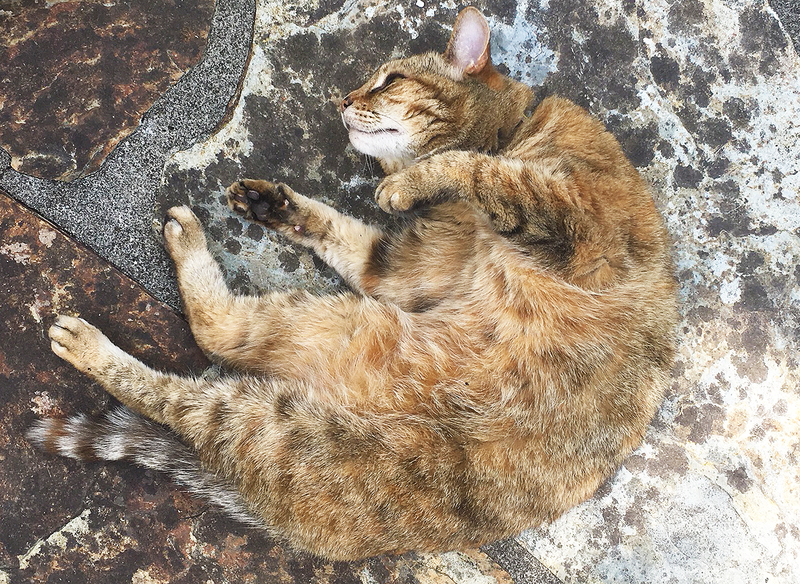 ), then it was the turn of the angel that is Peta (read hers here). Peta's story made me cry big old tears, because I needed to read what she wrote, I needed to be reminded that my body has got me through a lot and is with me for life and Peta opened up that door for me. Next up it was the beautiful Tabitha (read her post here) and this lovely lady wrote so honestly about her relationship with her body that I felt it all with her, and she inspired me so much with her story. 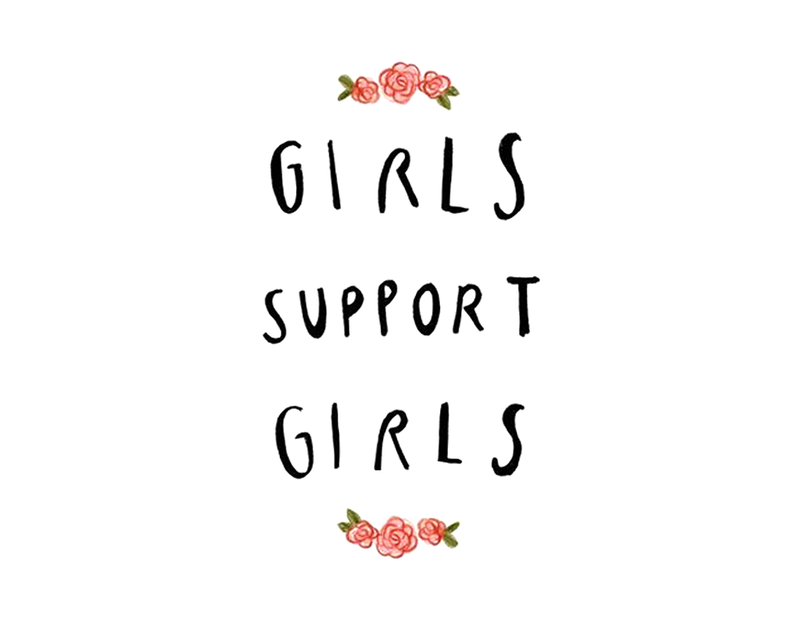 I want to spend some time pulling stories together, collecting beautiful words from beautiful people; women AND men, bloggers and non-bloggers (! 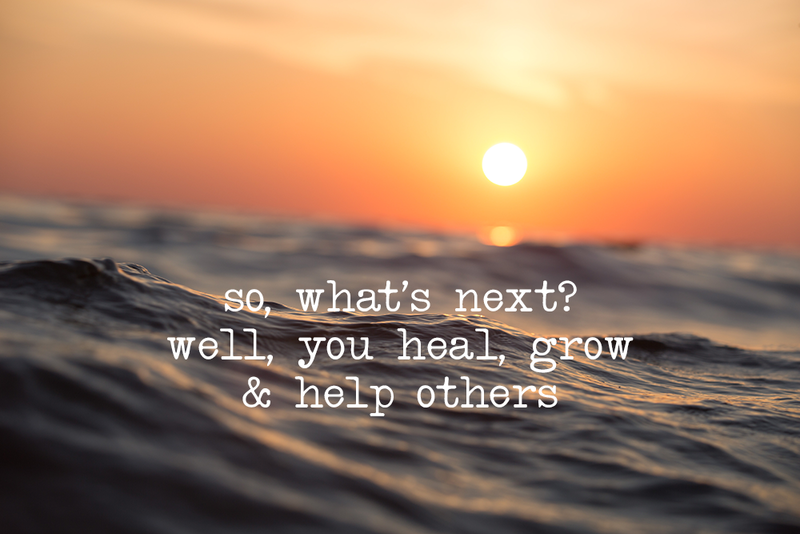 ), anyone who is willing to share a story with a happy ending (or an ending that is still developing but is opening you up to new, more positive experiences and relationships with yourself). I honestly don't mind if you remain anonymous, if you want to change names or not send an image, I just need stories. What I want to create is a free downloadable resource that can be easily accessed by anyone who wants/needs it; something approachable, relatable, helpful and honest (but positive and inspirational too). My intention is to make it available here, but also try and get it to schools too (yep, big goals). I won't bore you with all my ideas now but I just wanted to be open about this project and share thoughts with you, because I can't do it without you and your stories! You don't have to a 'good' writer, just get some words typed up, it could be a longer story or something short and punchy! As long as you are saying what is in your heart then it's fine by me! 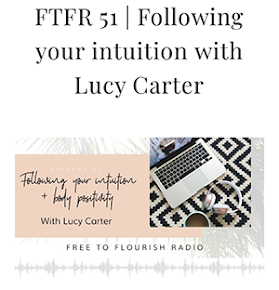 Read the existing stories here for inspiration if you like or drop me an email for a chat on fromlucywithlove@outlook.com - I would love to hear from you! Happy Sunday once again! How are you doing? Hasn't it been a gorgeous weekend (so far!). Yesterday was so lovely and warm AND we won the football too (mini victory dance!). Have you been keeping up with the World Cup? In all honesty, I am a total fair-weather footy fan, only really tuning in when there are big games on, but it is lovely how smiley everyone gets when there is an upcoming match. I think we need the win to be honest, the UK is happier for it! Talking about happier things, let's get into this weeks weekly gratitude! 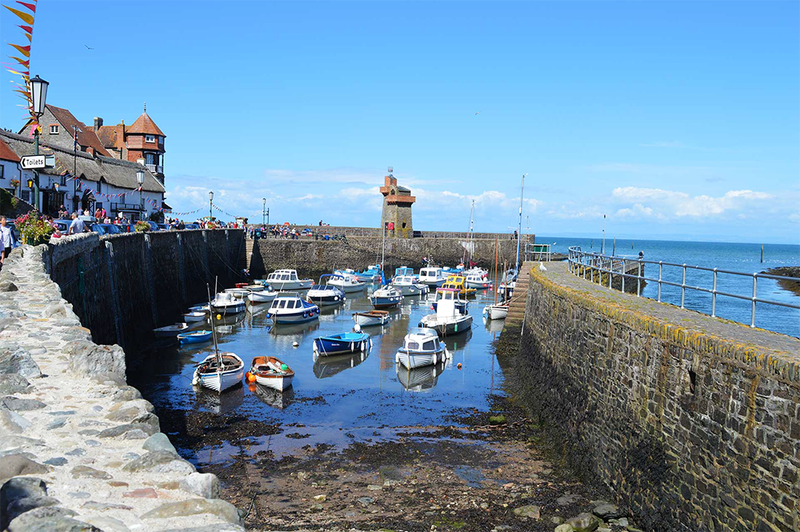 :: If you saw Wednesday's blog post, then you will know we were in Lynmouth, Devon, with friends from Sunday to Tuesday, but I want reiterate my gratitude for them having us stay at their gorgeous bed and breakfast and also the amazing ice cream/cake/fish and chips I may or may not have eaten! Yum! 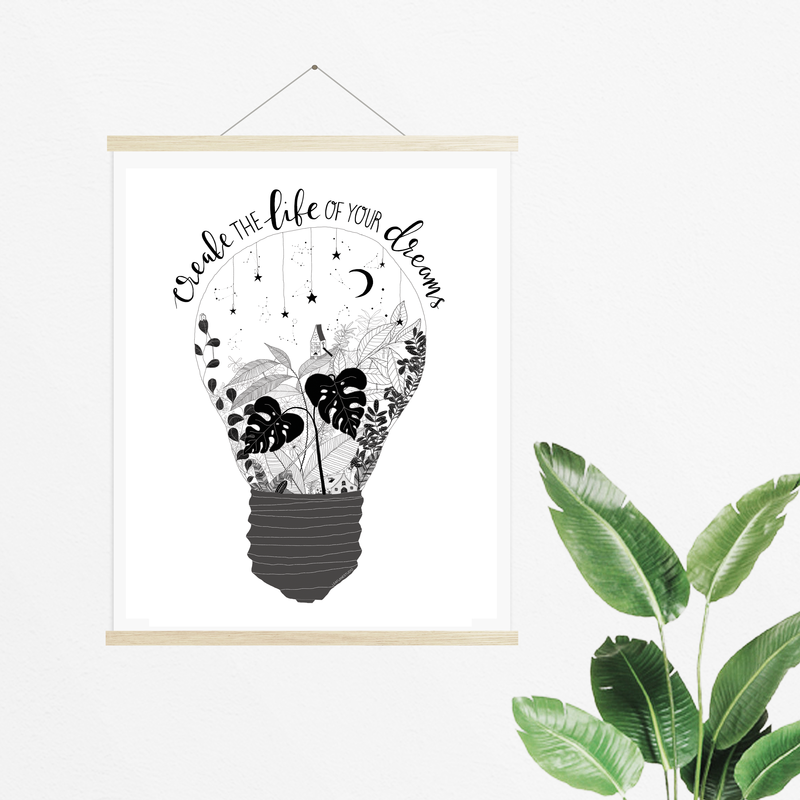 :: I made my first order for art prints via an online supplier (Awesome Merchandise) this week, getting some of my 'light-bulb' pictures printed up on high quality, recycled card (A5). I am pleased with how they turned out and will definitely order more things from them; if you want a print you need to get yours fast (click here) as I only have a few in stock! 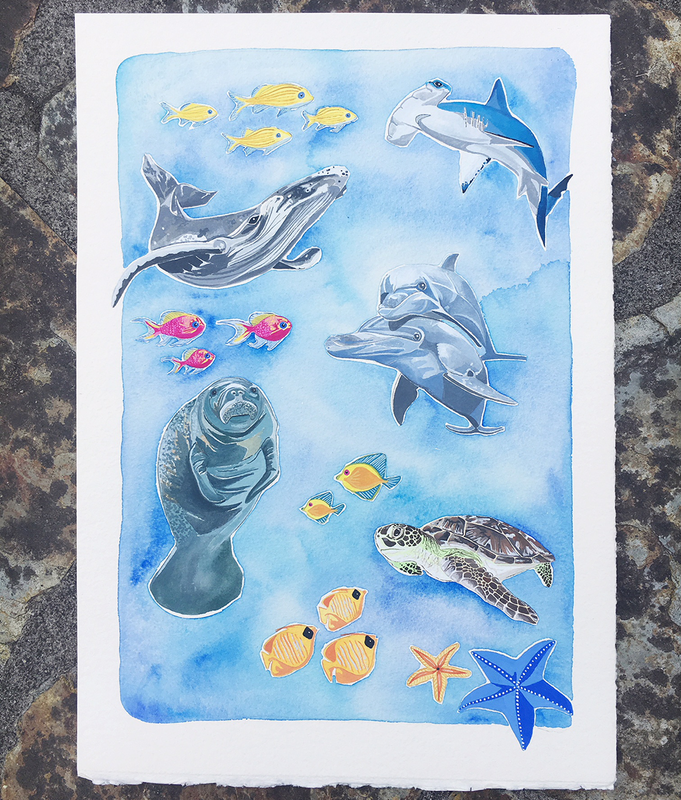 :: I also completed another little art work this week, a commission piece based around the World Oceans Day painting I did recently (which is still available as a download/print at home piece here). The commission was for a little girl who loves all things ocean creature related and I painted some of her favourite things, I hope she likes it! If you want to chat about commissions just pop an email to hello@leaflanestudio.com (business email!). :: A huge highlight of my week was finally getting to chat face to face (well, over Face Time) with one of my favourite Insta buddies, Peta (from the blog pe-ta.com - you guys know her by now, I mention her basically every single week!). 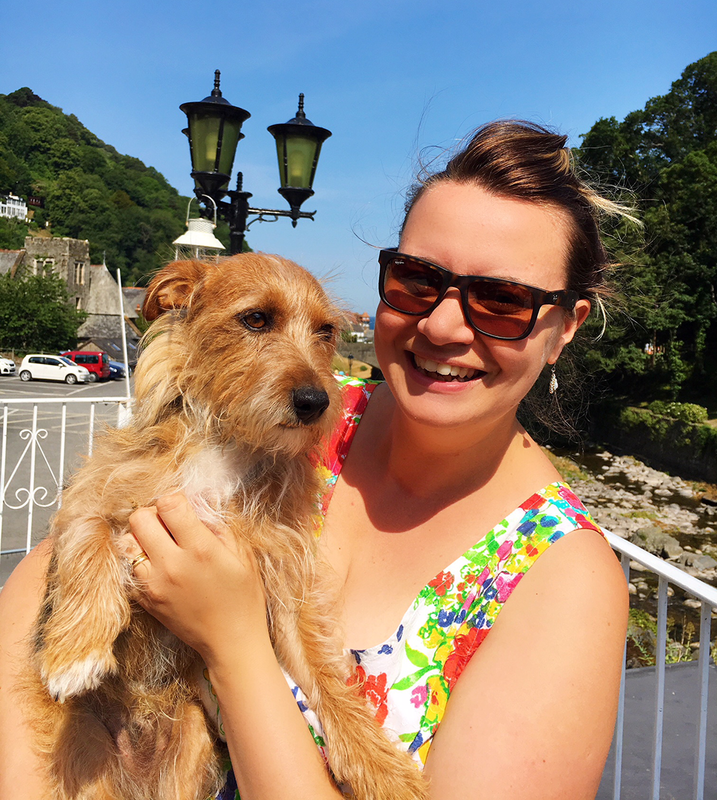 Last summer time we decided to have little afternoon message chats to spur each other on; I was about to launch Leaf Lane Studio and Peta was getting on with some blogging projects I, so this year we have ramped it up a notch and gone for actual talking! She is based in Spain, so it isn't like a cafe 'date' is possible; but it was wonderful to chat in real time and we had such a giggle too. It was needed as working on your own thing can be super isolating and you can get so lost in your own head that you can almost forget what it feels like to talk to other humans! :: I mentioned in last weeks post that a fab lady had offered to send me Mel Wells' 'The Goddess Revolution' through, since she had finished reading it. Well, it was waiting on the doormat when we returned from Devon and I have started it already (yes, I am now reading three books!). I love it so much; it is broken down into very short, punchy mini-chapters and is very easy to read. I will aim to tell you guys more when I have completed it. :: As I am always waffling on about the birds in the garden I thought I would share this nugget of information with you; over the past couple of weeks there have been three baby magpies in the garden, being fed by their mum/dad and two of them look like little penguins! 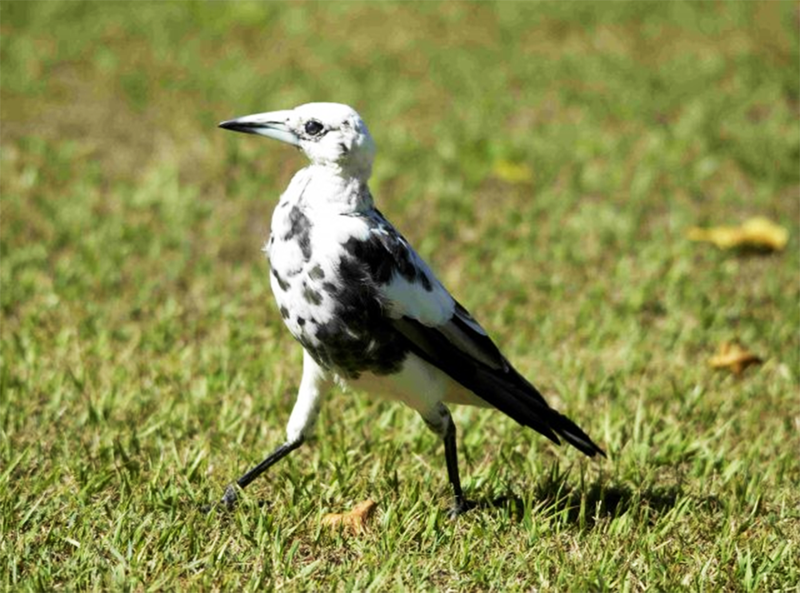 After a bit of research we discovered that the two feathery cuties have something called leucism, a condition where there can be partial loss of pigmentation, resulting in them being mostly white (I grabbed the image above from Google as I just can't get a good one of our two babies, they are way too energetic!). From a distance though they really look like teeny penguins! :: As a celebration of all things British (because of the football win innit'!) we decided to cook a roast last night which, as it is something we never do, I am very grateful for, can't beat a Yorkshire pudding can you! :: Whilst cooking a batch of healthy turkey curry this week, I blasted Bob Marley loud and danced around the kitchen like a loony; thank God no one was about to witness it, but it made me super happy so it's fine! Anyone else do the loud music and dancing about thing? It is so good for the mental health! That ends this weeks fun, I am off to the garden to recharge my brain and read a book! Have a wonderful week everyone, see you on Wednesday! 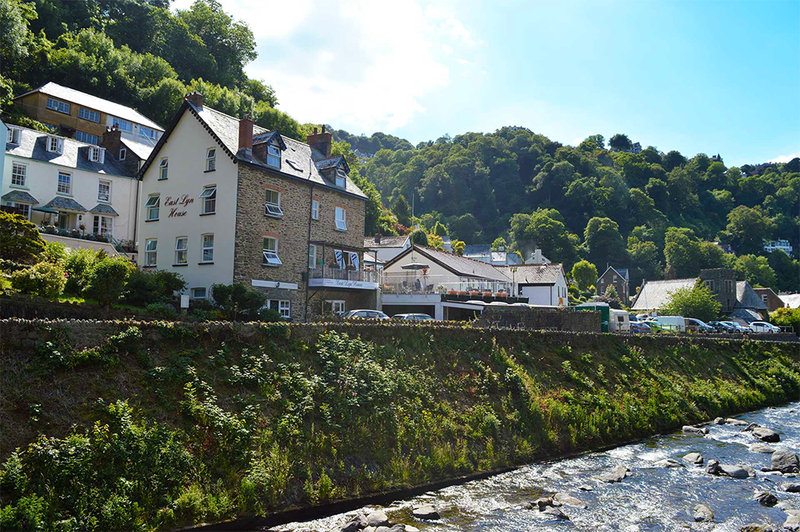 If you have been reading my blog for a while you may remember that my bestie, Helena, and her husband Rich, recently moved to Devon and took over a beautiful bed and breakfast in Lynmouth (see this post from October for a little video too). With Helena and I well overdue a girly catch up, Joe and I took a couple of days off and drove along the beautiful Atlantic Highway from Cornwall to North Devon, to visit our favourite bed and breakfast owners! To be fair, they are the only bed and breakfast owners we know, so they win the category by default, but still, they are lovely! This was only the second time we have been to visit them and it was nice to be able to go when the sun was shining too. 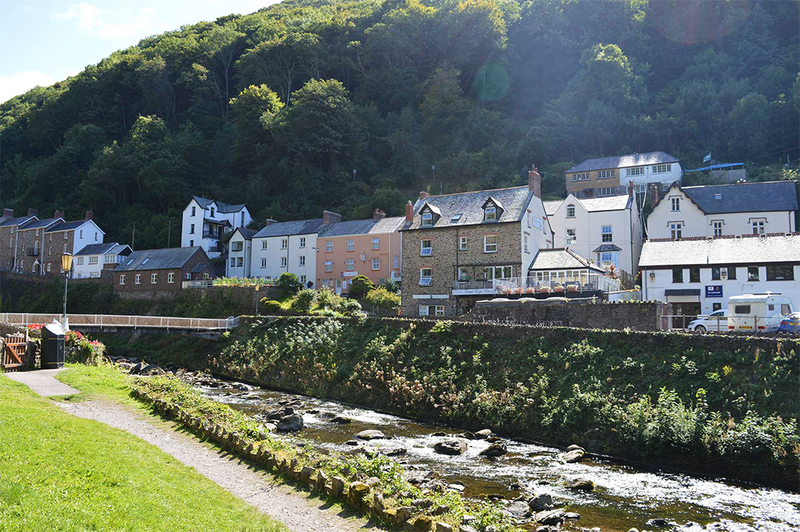 If you have ever been to Lynmouth, then you will know that it feels like you are in a totally different country; you approach it down a very steep hill that winds down to the sea front and river where everything is enveloped by the canopy of trees that surround the village; the architecture is so similar to Switzerland that you could easily fool yourself that you aren't in the UK at all, it is simply magical there. Helena and Rich's B and B, East Lyn House, is right on the river and is so pretty; they spent their off season decorating and updating the property since they took over from the previous owners over a year ago, and it looks so fresh and welcoming inside. Since we last visited they have also started selling cream teas too... never a bad thing huh?! As we were only there on a flying visit, we spent our first afternoon and evening catching up, eating a yummy dinner and, much to Helena's dismay, playing a 'beginners' game of Dungeons and Dragons. I've never played it before as I didn't understand it and I have to say that now I have played it, I still don't understand it, but we had a laugh and that is all that matters really! There were a couple of glasses of wine involved, which added to our lack of seriousness (sorry Rich!) but that was all part of the experience! Our only full day there was Monday, and we woke up to a gorgeously sunny day. We ate breakfast on the terrace and then took a walk to the cliff side railway, which is a quick route to Lynton, the town next to Lynmouth. 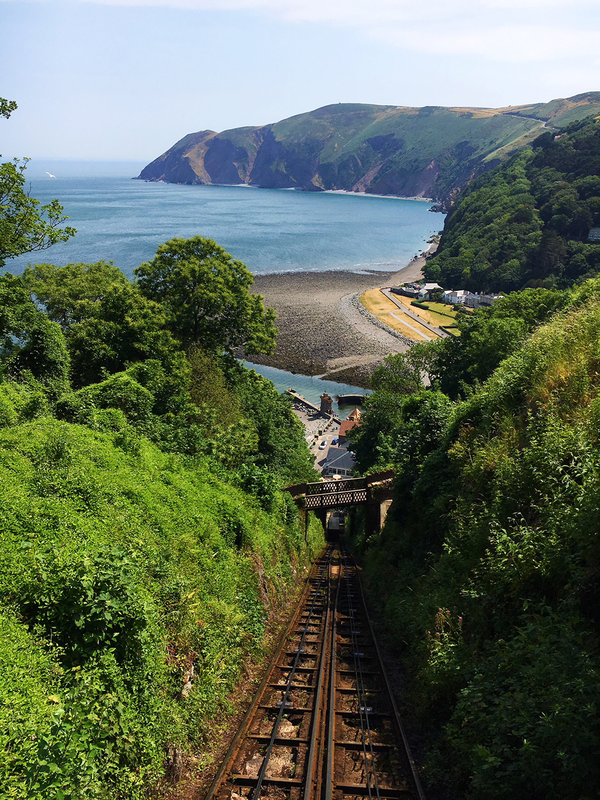 Fun fact about the railway is that it is the steepest, water-powered railway in the world; at 500ft up from the base of the cliff it is quite the view I tell you! 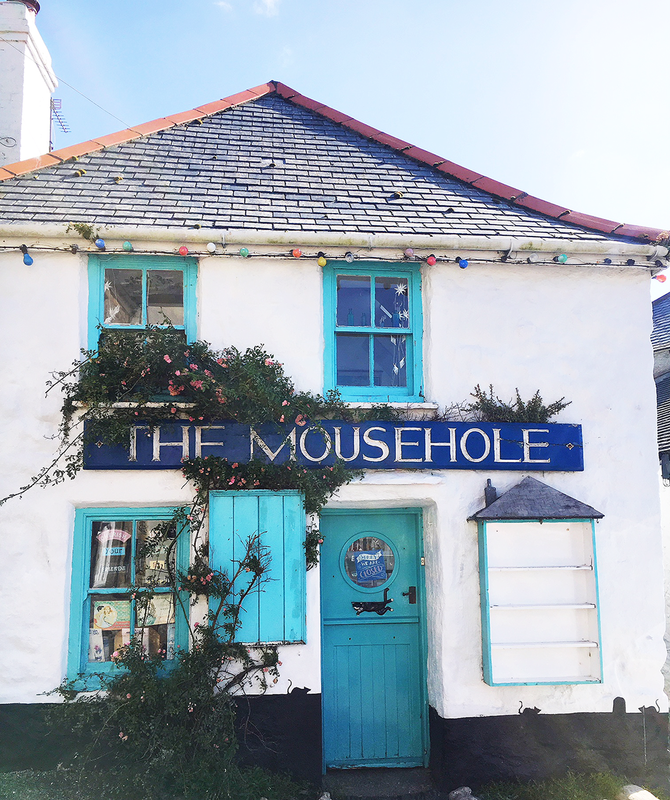 The town of Lynton is so sweet and very pretty; we had a mooch around the little second hand book shop there before heading to the coast path for a walk around to The Valley of Rocks (I highly recommend a visit!). 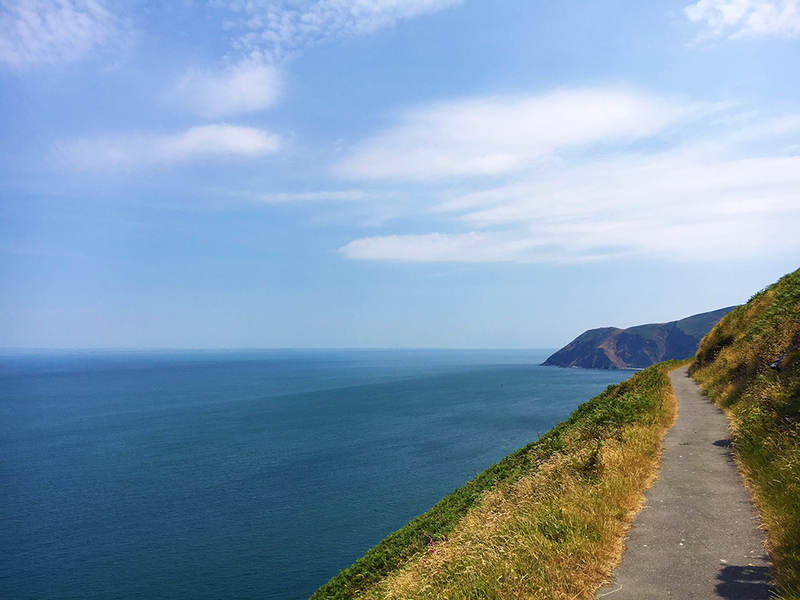 I have never seen a coast path quite like this one (pictured below) as it was so straight for a long time and right next to the cliff side with such a big drop but, due to the fact it was so straight and so quiet, it felt like it was just you and the ocean which was very beautiful and serene. The were some resident goats dotted about too, who were munching on the plants, staring out to sea, probably oblivious to how lucky they are to have such a view! Obviously, having walked so far (!) we all needed a sugar boost, so we shared some homemade chocolate cake at the cafe and carried on walking, completing our circle back into Lynton. Glancing down the roads in the town there were so many beautiful front gardens, with big, bright plants and flowers everywhere; it feels like such a special place. With the sun scorching down and, for some, hay-fever making itself known we head back onto the cliff train, down the steep hill back to Lynmouth, collecting an ice cream en route (mint choc chip and honeycomb for me, so yummy) and returned to the terrace at East Lyn House, and to Helena's sweet little dog, Wilf, who had been patiently waiting our return! 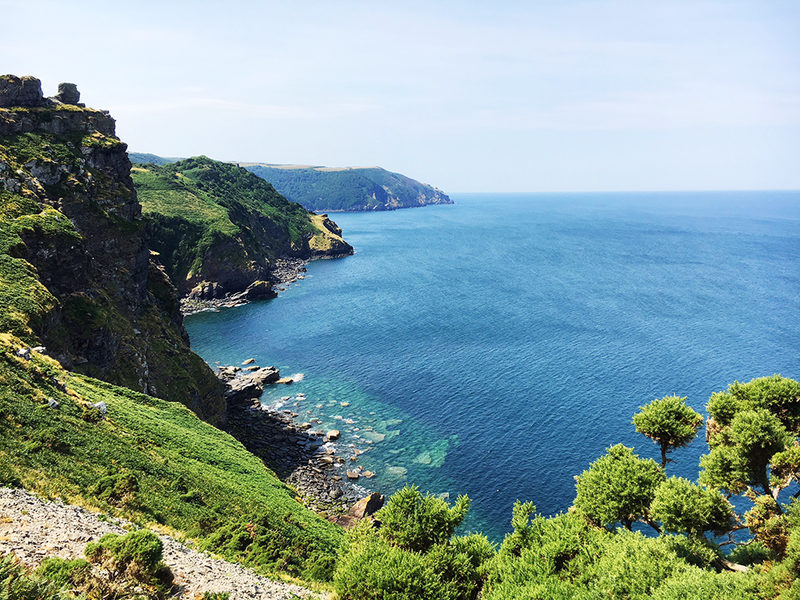 We had such a wonderful time and are already planning to head back for a 'proper' amount of time to explore some more of Exmoor National Park and the amazing places surrounding it. 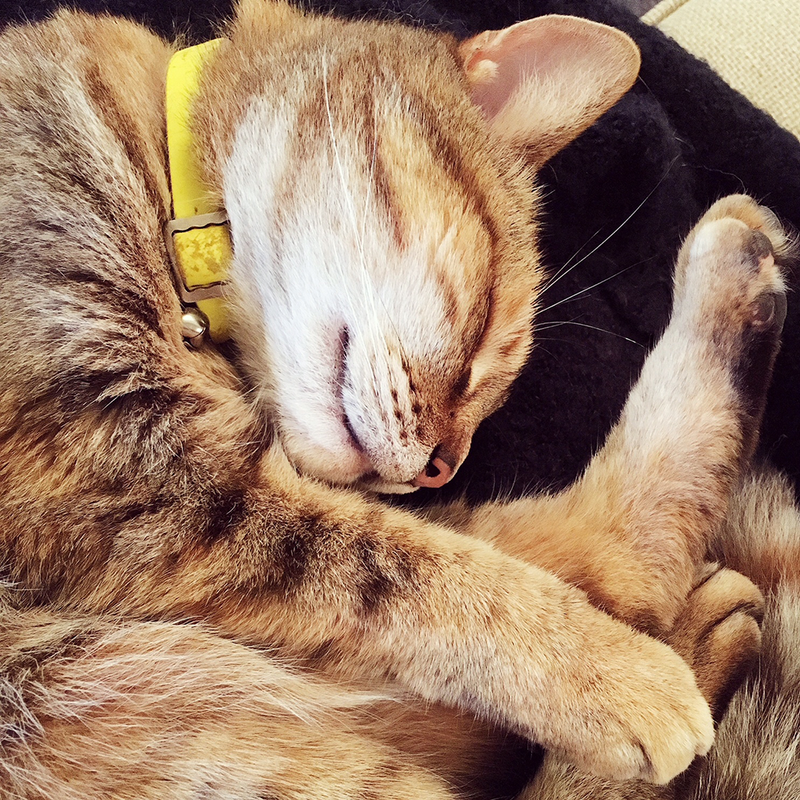 Obviously I recommend you check out East Lyn House, because Helena is my best pal, however, it really is perfectly situated for everything and so welcoming, warm and pretty; Wilf will welcome you with open paws, Rich cooks a brill breakfast and Helena will be her usual lovely self whilst serving your breakfast! Happy weekend once again my loves! How are you? Have you been enjoying the weather this week? I must confess that, for several days in a row, I worked outside for half and hour (ish) just to try and get some sun on my skin. 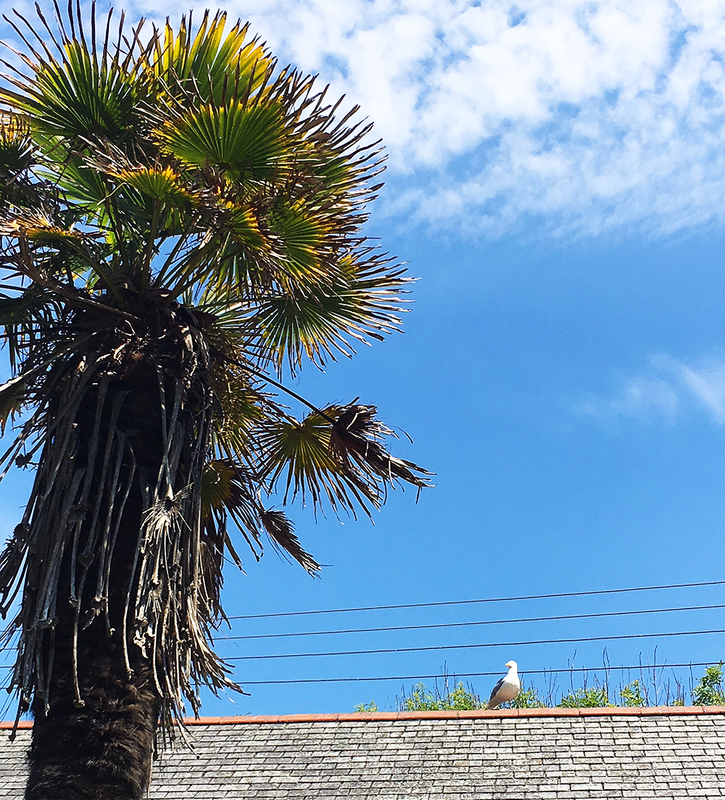 I am not much of a sun worshiper, as I get far too fidgety, but I can appreciate half an hour in the sun whilst I sketch away (and pray a seagull doesn't deposit a 'present' on my head!). Before I get into today's post I just wanted to say a huge thank you to you guys for sending me so many lovely messages/comments about Wednesdays video that I posted. It was one of those videos that I totally hadn't intended to make, but it just sort of happened and I was quite happy with how it turned out overall. If you missed Wednesdays post just click right here. P.S. Have you guys joined my mailing list? A newsletter will be heading your way next week so hop on right here (or click on my little icon on the right of the screen!). Okay, let's get stuck in to this weeks gratitude/life list! 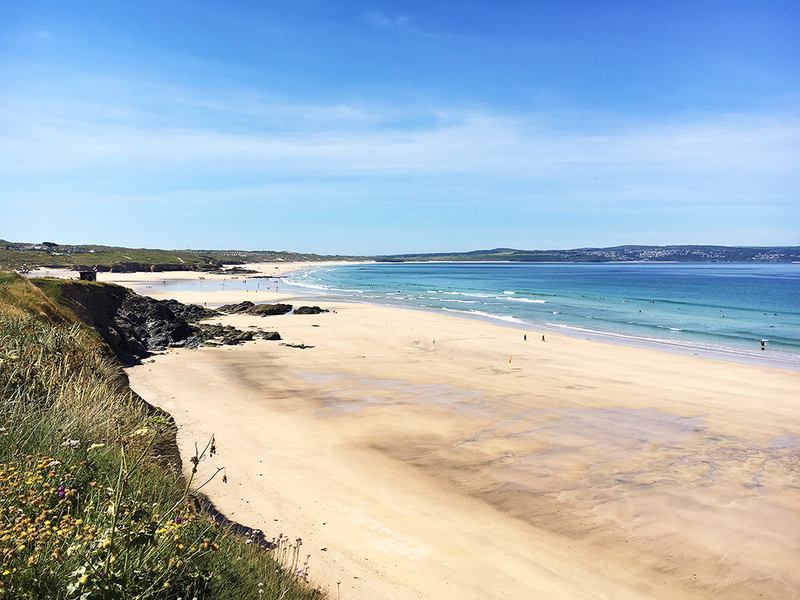 :: It has been super duper hot this week (although I think we had it a bit more bearable in Cornwall compared to the big smoke of London!) and I am feeling so grateful to be living in a stone walled cottage! On Thursday, one of our hottest days this week, I just sat in my little art room, window wide open, breeze coming in, and felt nice and cool and comfortable. In the winter it is freezing cold though, so there is not a smug attitude going on here I promise! :: I received a little parcel in the post this week that I am seriously grateful for! My favourite BB cream has been discontinued and my mum managed to find one in Tescos of all places, which she donated to my cause (and poor tired face!). It fell through the door and was very happily received! It is always the way that I find something I love and it immediately gets discontinued! Thanks mum for saving my skin (literally). :: This week I popped two new tabs onto my blog, you may have spotted them, one is 'Books' and the other is 'Podcasts'; after chatting to the lovely Peta (pe-ta.com) and deciding we should exchange Amazon wish lists to compare books we want to read, we have both put up our list of books on our blogs (find hers here). Don't you love seeing what other people are reading? I adore books and struggle to go into a book shop without scooping up an armful I wish I could buy! Thank heavens for the Amazon wish list or I would instantly forget what I had seen (how would Santa know which book to get!). :: Last weekend, through to Monday of this week, we had two lovely visitors staying with us and, whilst they were off doing their own thing for their stay, it was lovely to sit and enjoy a meal together and catch up with life! They also introduced us to Poldark. Obviously we have heard of it, you can't possibly avoid the many Poldark themed souvenirs when you live in Cornwall, but it isn't a programme I had watched before, so we threw on Netflix and got stuck in. Needless to say we are hooked! 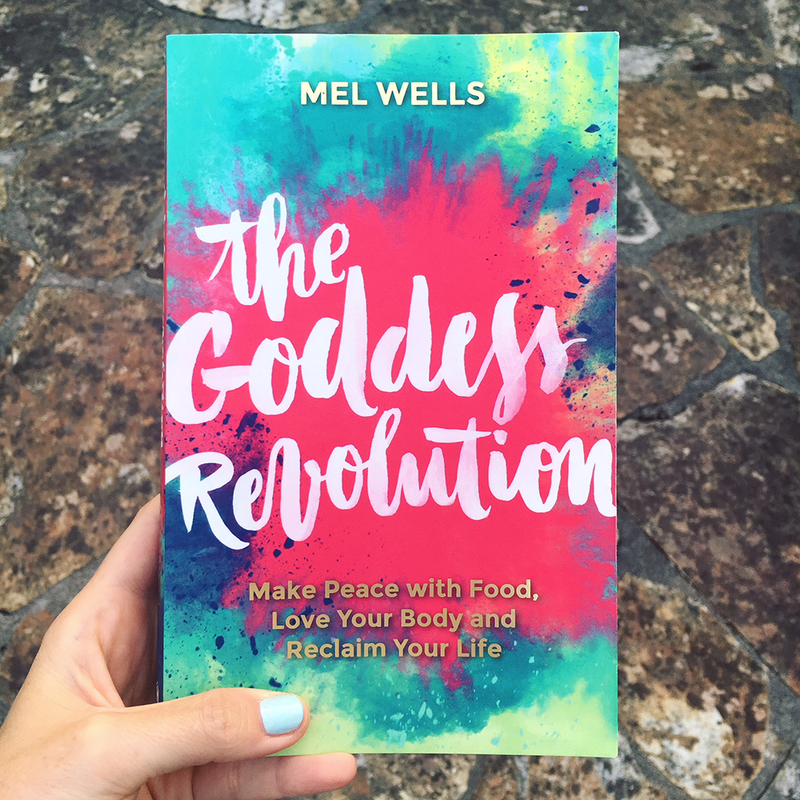 :: On the subject of books; a very lovely lady who I chat to on Instagram got in touch this week and very kindly offered me her copy of 'The Godess Revolution' by Mel Wells, which is on my new 'Books' tab actually! How sweet is that? I couldn't be more grateful because I have wanted to read that book for a long, long time now. It is the kindest gesture to hand over a book in my opinion, I think it is so thoughtful to part with something because you know someone else will like it. 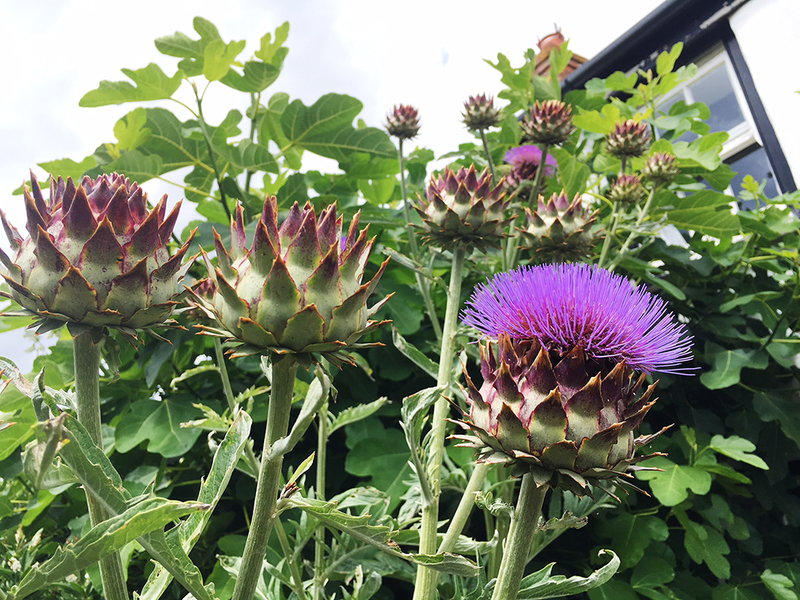 :: It is now July (what!) and this new month brings with it a new Bullet Journal! This is my third one now and I still love it! That is unheard of for me really as I usually get bored with planners, but this system just works for me. I honestly enjoy looking back at the journals to see what was going on and to read my short diary entries/gratitude lists etc; they are a keepsake and I love that, you really can't beat paper and pen! :: About four years ago now, I had an operation to fix a rather painful issue with my collarbone; it was really lumpy and growing extra bone, which was pressing on all the muscles/tendons/nerves (I think that is right!) in that area. It was a nasty and painful thing and the surgeon hadn't seen anything quite like it before (unless someone had experienced a trauma in that area of course). Well, unfortunately for me that injury seems to be on its way back, well it has been for a while but has really kicked in now. I finally bit the bullet and dragged myself back to the doctors to start the ball rolling for getting 'Lucy's strange collarbone II' sorted out. I have now had an x-ray (so grateful that the doctor got right on that!) and am awaiting the results now... poor old clavicle and neck (so sore!). I'll tell you what though peeps, I am not stopping my training, I shall just have to learn to 'take it easy' in that area until it sorts itself out. Fingers crossed for me. :: Instagram is one of my favourite places to chat and, this week, I have loved some of the chats I have been having with you guys. Working for yourself can be a lonely place sometimes, so when I see a little message pop up it makes me smile from ear to ear. That is all for this week guys! I am heading away until Tuesday, so may be a little quiet on social media but I will try and post when I can because where I am heading is super pretty! Have a wonderful week and I will see you back here on Wednesday!